Traditional NUAT BO-RAN Thai Massage is one of the oldest natural therapies known. Its techniques were developed over centuries. The influences of ancient Chinese and Indian civilisations are on Thailand as well as all of South East Asia is clear. 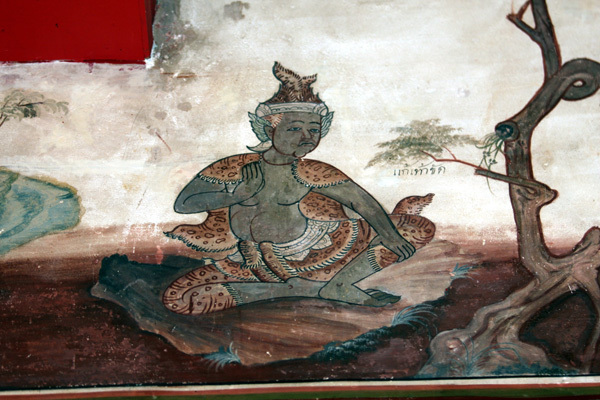 However, it is difficult to ascertain in what proportions these cultures alongside local Thai practices influenced local medical knowledge and techniques. Traditional Thai Massage is the fusion of Shiatsu, Ayurveda, Acupressure and ancient Thai medical knowledge. 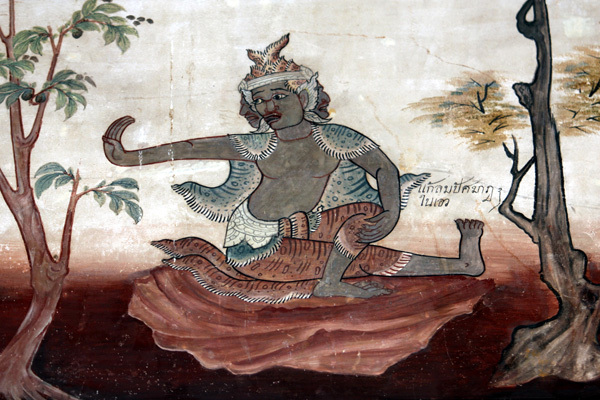 The founder of Thai massage and medicine is said to have been Shivago Komarpaj (or Jivak Komar Bhaccha) who lived in India at the turn of 5th and 6th centuries. He arrived in Thailand on the wave of expansion of Buddhism. He taught and developed the art of massage, which in the following centuries was officially recognised and acknowledged as the base of Thai massage. He is noted in ancient documents for his extraordinary medical skills, his knowledge of herbal medicine, and for having treated important people of his day, including the Buddha himself. The first known documents, exactly describing positions of massage, were written down in Thailand on palm leaves in the Pali language in the 17th-thcentury. A large portion of these documents were lost during the Burmese occupation of 1776. In 1836 King Rama III had the best of the surviving texts collected and inscribed in stone. These stone plaques were set into the walls of the Wat Po temple in Bangkok. They depict the body in various massage positions along with healing points and energy pathways know as Sen Lines. In 1962 a school of massage was founded in the Wat Po temple. Our massage therapists have been trained in this school. 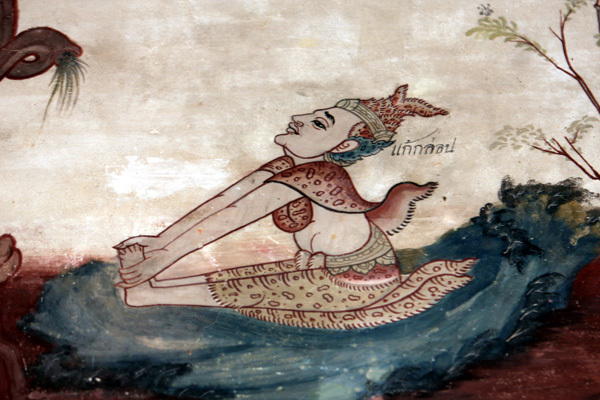 Thai Massage has evolved over 2500 years. It combines local Thai practices and elements of Chinese medicine, yoga and Ayurveda. Traditional Thai massage is a holistic form of therapy soothing both the mind and body. The variety and richness of the techniques employed in Thai massage have a therapeutic and soothing effect. The practices used stretch muscles and tendons as well as improve the mobility of joints. Acupressure points are compressed stimulating SEN lines which transmit energy flows along the body. The therapists use their thumbs, palms, elbows, knees and feet to compress and stretch the body. The treatment can be done with varying strength depending on the condition, sensitivity, age and personal preference of the client. Massages can take from and hour and a half to three hours. The therapist begins with the feet then progresses upwards towards the head and face concentrating on areas which require the most attention. Thai massage aims to remove the blockages within our bodies, reduce stiffness and tension and well as improve circulation. According to oriental teachings, health is a factor of the free movement of energy around the body as well as the balance of five elements which make up our bodies: earth, water, fire, air and space. These elements are equivalent to bones, tissues, fluids, metabolism, motor sensory reflexes and consciousness. Blockages along energy channels within our bodies cause imbalance among these elements. Thai massage therapy helps to remove these blockages thus restoring us to a state of balance and harmony. Traditional Thai medicine is not only concerned with curing diseases and ailments: its primary goal is maintaining health and well-being, as ancient Thais believed that “the absence of illness is the best blessing”. The medical knowledge developed by Thai people through many generations has come to be known as the ancient wisdom of Thailand. Thai massage is suitable for people of all ages. For senior clients we offer gentler treatment commensurate with their physical condition which focuses on joint mobility, easing arthritis and muscle pain. For younger, active clients we offer a sports massage suitable for both before and after physical exercise. It aims to prevent injury as well as aids in recovery if an unfortunate accident occurs. It helps to regenerate the body following intense physical exertion. For pregnant women it can be an excellent way to improve physical and mental wellbeing reducing tiredness and back aches. It reduces inflammation by improving circulation.